Do you want a career as a translator? 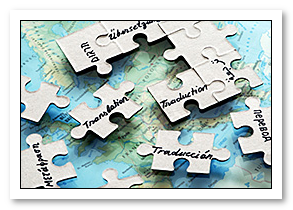 Do you need to develop your translation skills for your current job? Then Translator Training is your route to new professional opportunities in modern languages We have been providing distance learning courses in translation for nearly 20 years, attracting students worldwide. Professionally managed, with top-class tutors and one-to-one guidance, our courses offer total flexibility, so you can study anytime, anywhere, at your own pace and practise translation skills in a professional context. Discover how our Translator Training can help you in your career, adding professional weight to your modern language skills to give you the edge in an ever more competitive job market. Our distance learning courses help to prepare you for the Chartered Institute of Linguists' Diploma in Translation (DipTrans). The DipTrans is an internationally recognised, post graduate level qualification accredited at level 7 of the UK National Qualifications Framework.